With E3 now well and truly underway, Nintendo of America has launched a special E3 2017 eShop sale, with various discounts across Wii U and 3DS. Unfortunately there's no equivalent European sale at present. Let's get to the details, shall we? Offers ends June 20 at 8:59 a.m. PT / 11:59 a.m. ET. So, lots of offers available, but will you be picking any up? Let us know in the comments below. Nothing on the Switch. I already own most of these games that I have any interest in. 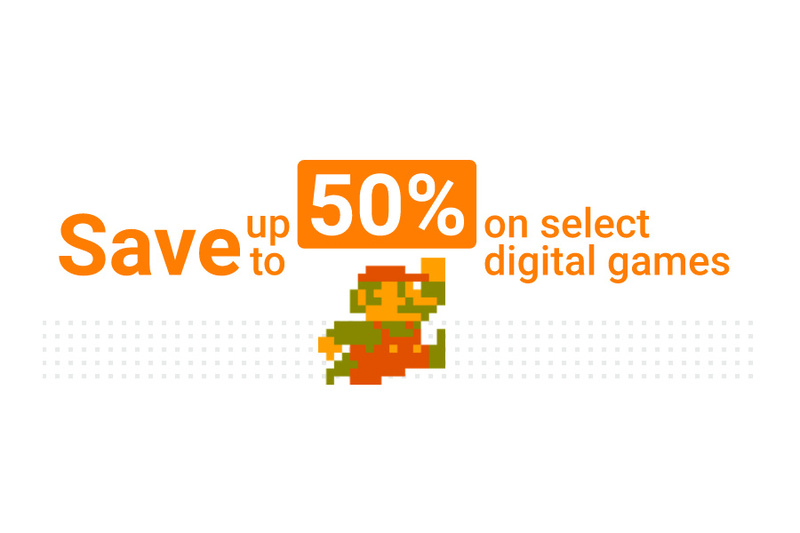 The discounts on Nintendo's own games are mostly stingy. And as always, what about Europe? Would it kill Nintendo to drop games like Smash Bros. lower than $42? I mean, I already own it but so many people are put off by those kind of prices more than two years after release. Now if only Nintendo of Europe would be kind enough to do the same. I got myself street fighter, so I will save myself $35, got boxboy 2 and super mario kart, basically only 3DS games for mii. All I can say is...why just America? Meh, just discounted titles I already bought. Oh, and by the way, to anybody who has played Senran Kagura 2, how is that? No Switch discounts...guess we can't all be Steam, huh? No thanks, most I either have or can be had elsewhere for less. Sk2 is a great game, a lot of improvements over the original (sk burst)! I'll end up getting Dragon Ball fusion now. Wanted to play it, looked decent enough. Never the games I'm looking for. All good, just waiting for June 27. "BOXBOY! - $3.49 / CA$4.96 (manually $4.99 / CA$7.09)"
Most of these are the same price or cheaper physically at game stop. If they make to Europe I will get 2-3 of the SNES Classics on the N3DS. @invictus4000 Do it. It's really, really good. Yeah these could easily be picked up for nearly the same price or less via other stores. Kinda wish they launched another Nindie humble bundle with a couple NS games thrown in. Was going to join the "what about Europe?" complaints. But having looked at the list there's nothing I don't have that interests me. Nice deals. Too bad I bought all the games I wanted upon acquiring my Wii U and 3DS. A bit early for a Switch sale I guess. But how about a 1/2 Switch discount ? Not that I'd buy the game but it would've made sense to me. I appreciate the gesture I guess but most of those discounts are pretty pitiful. Yes! I've been waiting for Super Metroid to go on sale! Senran Kagura is a great series! Try it sometime. I care more about a Virtual Console announcement for Switch than discounts for games I already own. Well, Nintendo still knows how to make games, but they still have absolutely no clue how to run a Summer sale. Take notes from Steam, GOG, et all. None for me, but many of those are excellent games! I think I'm gonna buy Super Metroid and play it for the first time. Galaxy is great and I would definitelysuggest it. @invictus4000 Super Mario galaxy 1&2 late literally some of Nintendo's greatest games if not greatest games ever made. Odyssey has a lot to overcome in terms of innovation and level design that was presented in both Galaxy Games aswell as the Music. Torn on getting Color Splash because I'm thinking this might get a switch port, having arrived at the end of Wii U's life. Any thoughts? Getting the two Dragon Ball games. Haven't gotten them yet and they are a good deal. If only Nintendo had announced a Switch Virtual Console with access to all of these great sale items today, they would have made a boat load of money off me. Super Mario Galaxy for $9.99 and I can play it on the train? I would have been sold. @AlphaElite Color Splash is a great game, but you could only play it with the gamepad. Maybe that's why it has a smaller chance to be ported as well. Bought Warioware. Was thinking of Link to the Past on n3DS, but the screenshots look microscopic, and I already have it on Wii U. Those are great prices for SNES games on New 3DS. I finally got Super Mario Galaxy. I've got SMG2, but I never played it since I wanted to play SMG1 first! Anyone that intends to buy the NES Remix beware. It shows a picture of the NES Remix "Pack" on Nintendo's site but is in fact only the first NES Remix. Not sure if this is an oversight, but it seems kinda scummy to make people think they are getting both 1&2 by showing the retail "Pack" photo. For comparison's sake, how long after launch did Wii U see its first sale with discounted prices? Some of the discounts state "manually" instead of "normally"! The Autocorrection strikes again! (But yea, so underwhelming discounts. Have most of the games, except Dragon Ball Fusion, which Amazon sells for 25). Nothing for Switch? I mean, it just launched but couldn't they bring out some offers here and there?